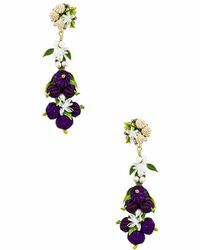 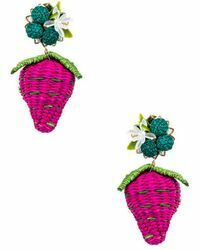 Transform any look in an instant with statement jewelry by Mercedes Salazar. 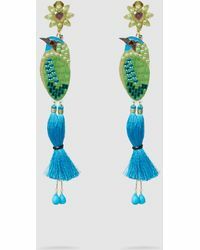 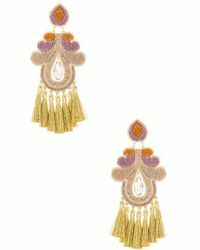 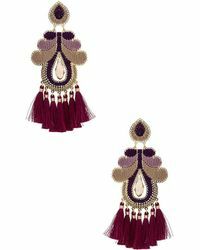 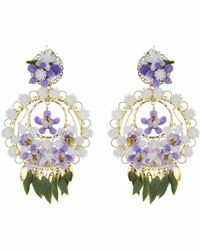 Inspired by the vibrant culture of the designer’s native Columbia, earrings by the brand are typically bold and bright, and made by local artisans using semi-precious stones and noble metals. 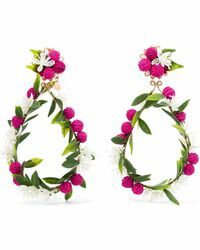 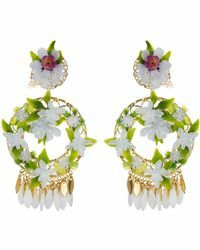 From floral hoops to crystal-embellished studs and dangly beaded pieces, these earrings are made to standout – be sure to show them off with swept up hair.